For a Better Night’s Sleep! 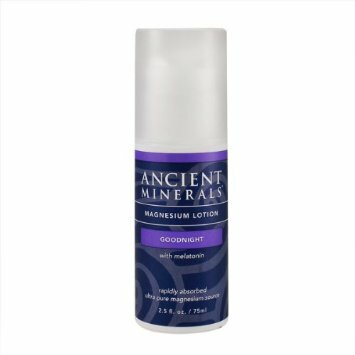 Ancient Minerals Magnesium Lotion Goodnight is a smooth, quickly absorbed emulsion of magnesium, MSM and melatonin in a skin-nourishing base of certified organic oils. Rich in plant moisturisers including coconut oil and shea butter, this lotion soothes and hydrates without leaving your skin feeling waxy or greasy. 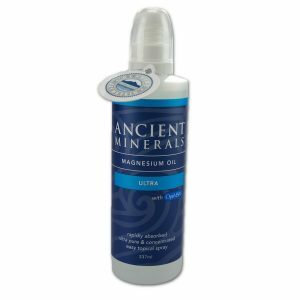 Ancient Minerals Magnesium Lotion Goodnight is fragrance free, does not contain any formaldehyde releasing preservatives, and delivers 3mg melatonin and 25mg elemental magnesium per 1ml.